Hong Kong-based domestic service app Agent Bong has officially launched in Singapore, said an official press release. Sam Ng, Co-founder of Agent Bong said he sees a strong need in Singapore for such a service due to socio-economic factors such as an aging population and more working couples. First launched in Hong Kong in August 2015, Agent Bong – with Bong meaning “help” in Cantonese (“帮”) – is a mobile-only online platform enabling homeowners to hire domestic helpers to perform chores such as: cleaning, cooking, grocery shopping, babysitting, eldercare services and even pet-sitting. To uphold the quality of service, Ng said its domestic helpers are vetted thoroughly. “One of our staff – who is a very experienced domestic helper herself – interviews each Agent Bong helper in person to verify their capabilities. We have also provided less experienced helpers with on-the-job training with more experienced helpers,” Ng told e27. For more specialised services such as eldercare, Agent Bong also has a team of licensed nurses. Another key differentiator between Agent Bong and other domestic service apps is the ability to allow users to pick their preferred helper, added Ng. “Each homeowner is able to select their domestic helper based on a photo profile which lists their capabilities, instead of [a] random assignment,” said Ng. Users just need to complete an in-app form stating the services they require, frequency and timing. Within the Hong Kong market, Agent Bong has over 8,000 users and experiences 2,000 job requests per month. Ng claims its team of domestic helpers have completed over 60,000 hours of service. In Singapore, Agent Bong has hired 150 domestic helpers thus far, including stay-at-home mothers and students. Right now, Ng is focussed on growing Agent Bong’s business in Singapore and Hong Kong. It has already secured more than S$1 million (US$735,000) in angel investment, which Ng said will support its market entry and expansion plans. It aims to raise a Series A funding by the end of the year. 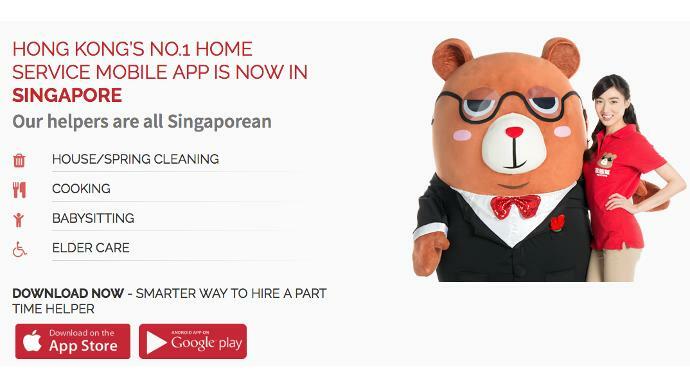 The post Singapore has a new domestic service app, codename: Agent Bong appeared first on e27.